In previous post you have seen the data format which Pi receives from GPS. Its in bytes and here is some raw data. Note: In order to get GPS position data i have placed the unit out of my lab where it can see clear sky. The above data can not be handled as a string to split or etc. We need to decode it without line terminations and stuffs so i have done few test with python and finally managed to get some beautiful output for the field that i am interested. Hope this would help you to tweak more and hack everyday. Please do subscribe my YouTube channel for more updates. 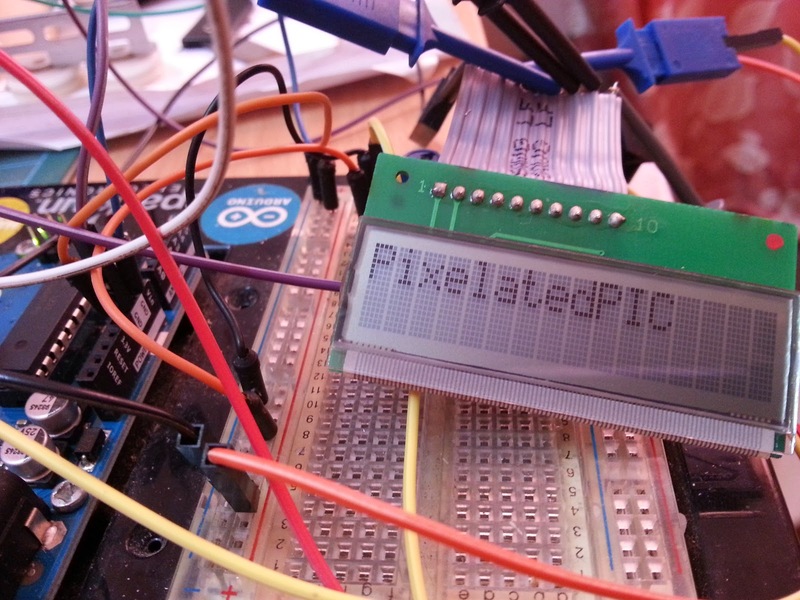 Its been a while i have this LCD and today i thought of connecting the LCD display to Arduino. Unfortunately i could not found any pin outs of this from any where and from the manufacture. Actually this is very old model which i got from old FAX machine and this display is a very cheap from online sources. Clover Display M302 PCB Ver 1.0 (16x2) which has 10 pin flat cable. 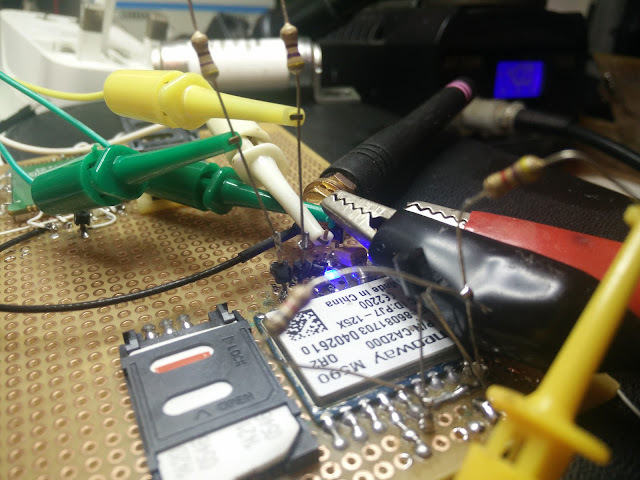 After researching for a while from the internet i have seen in many forums people are asking for help on how to connect it and what is the pin configurations? so i thought of helping them as well as my self at the same time. After going through some of my old collections of Russian data of displays and things i found a basic diagram of how 10 pin LCD display configuration. Its been a while that i was trying to fix the SIM900A GSM module. 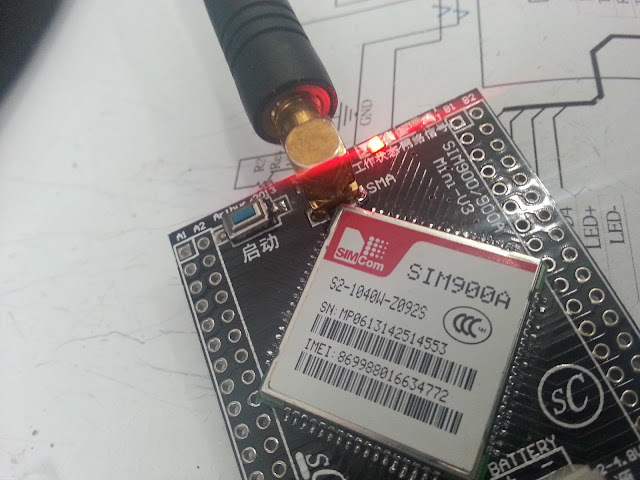 This module support local GSM band but after some researches it was concluded that it is carrier locked :(. After long conversion of days to actual chip manufacture SIMCOM, they told it can be fixed by updating its firmware to latest original version but unfortunately they don't provide firmware to small parties. I never stop trying to get the firmware and SIMCOM again replied, this time they said contact local SIMCOM supplier and request for firmware. But this little Maldives don't have SIMCOM or any electronics manufacturer. So i contacted my friend coody from NOA LABS/Smart prototyping (a friend in china) and told him to help me. I explained him what to do so he can communicate with SIMCOM in china. Some of the GSM/GPRS chips do not support HTTP services and since the modems are controlled via AT commands, the AT command sets are very limited to HTTP commands in NEOWAY M590E. The only option to communicate with any cloud based or locally hosted server was using TCP protocol. I have used HTTP services in many of my projects and experiments, it is easy and with few lines of code can manage an HTTP requests. For weeks i have been struggling with TCP request and every time it fails to connect or sometimes data is sent but from server side there is no new data fetched. Basically TCP is transport layer in OSI model and HTTP is in application layer. TCP will do a socket based connection to servers predefined port. For example test.com:8989. what i mean is it needs a listener to listen to port that you define or open to use.